Printable Gift Certificate – Individual Sets HS857A At Print EZ. Printable Gift Certificate – Individual Sets Item No. 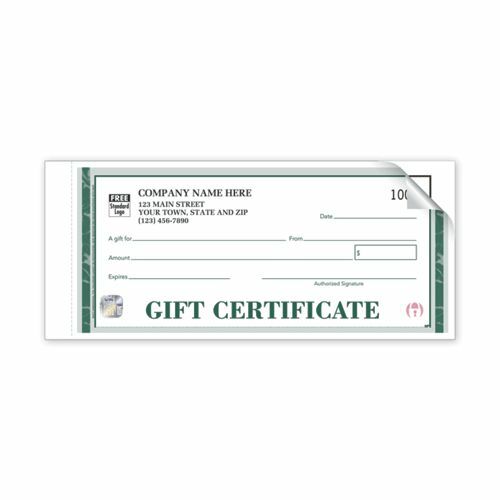 HS857A Size: 7 3/4" x 3 3/8"
If you are offering gift certificates as solution to your customers’ gift-giving problems, you will find that it is extremely convenient to have individual sets of printable gift certificates. Individual gift certificate sets make sure that you can distribute the certificates among various sale points so as to have them available at every point where the customer may need them. 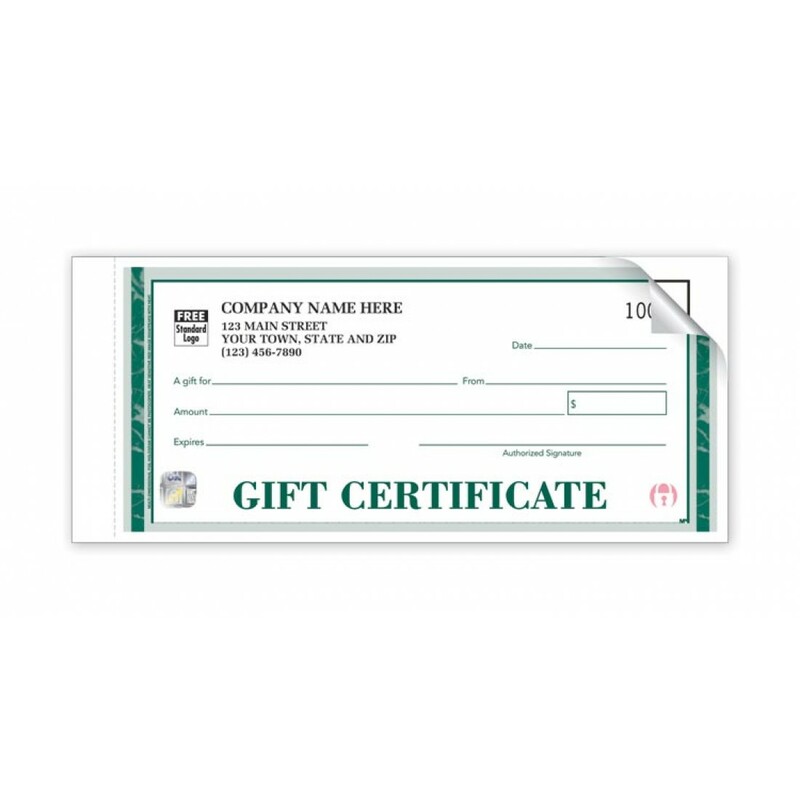 Our printable gift certificates have high security features for preventing fraud. You can add in consecutive numbers to ensure there is no in store fraud. There are other security options like chemically sensitive paper, heat sensitive ink and micro-printing; all of which go towards making it a high security gifting option. Get these printed with your business information and logo in the color and you have a marketing tool for your business too.